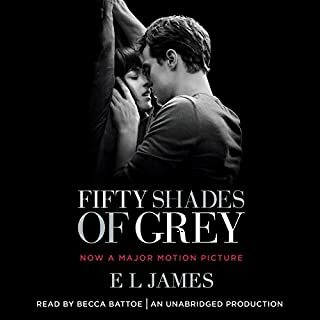 What would have made Fifty Shades of Grey better? Please get an actor to properly do the voiceover. This is the most annoying voice and attempt at reading aloud. She has no idea how to read aloud. Its the exact same as being an actor. The voice and the voiceover is so poorly done that its very hard to even listen to. I cant get over the poor attempt at voice acting ..Its like they grabbed the secretary at office and said hey just do the voiceover for us. cant get past the poor voice acting to even listen to the story. by god get an voice actor. stop being cheapskate at production. anger at the production of the audio book. learn not to get just anyone to read aloud. 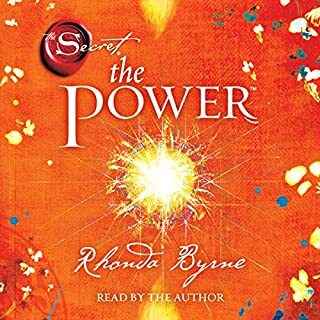 absolutely yes and I do think I will listen again now since I just got done listening to another book and love this one so much more. This book really teaches you the power of love and how to love .I mean really love. I was able to turn away from gossip today even though the gossip was directed at me and smile. It was a test. I instead directed intense love at the man who was spreading lies. I wouldnt have been bale to do that before this book instead I would have not been able to sleep all night and been so mad. Instead I imagines his entire house surrounded by love. Seem crazy? No ...listen to the book. I was able to talk to my mom today without an overlying feeling of hate which has always resonated with me from the abuse as a child. I imagined her healthy and happy and out of the house enjoying life. 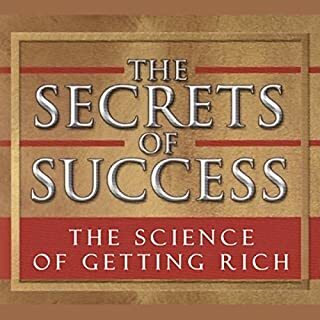 The book can literally change your life in a day. When she talked about how people can send negative things to you and how you can change it by sending back love. The one that she talked about what you give is what you get back. It explained so much of what is going on in my life. When you are upset or hate and go over and over in your head about what you dont like. how it stays with you and effects you as if you are asking for it. turn everything into a positive somehow someway no matter what it is. Thank the universe everyday for everything we have. All problems and issues of scarcity in your life are simply the result of bad programming or erroneous beliefs in your subconscious. You can never constantly see every moment it perfect just as it is until you erase the internal programming that is preventing you from achieving your goal. 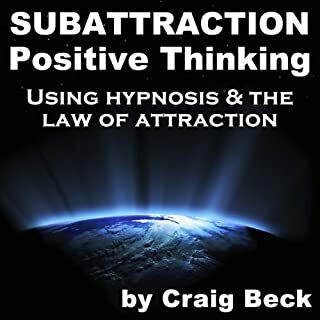 Based on the principles of his best selling book ‘The Secret Law Of Subconscious Attraction’ Craig Beck uses powerful speed hypnosis to subliminally reprogram your subconscious beliefs around dealing with all moments of life, seeing the positive in everything..
less talk about God. Misses the point of law of attraction. Puts it as a very religious thing rather than getting on the same frequency of law of attraction. Far to much mention of God. Talk less about god. More about the law of attraction. Great voice. some good points however the god thing is a huge turn off to me. If you could play editor, what scene or scenes would you have cut from Subattraction Positive Thinking? The last 8 to 10 minutes of just silence. lol. what a rip off. The habitual talk about god. No need. The law of attraction is about getting on the same frequency as what you want. Not about god. While I'm a spiritual person I do not believe in the man in the sky but rather we are all energy connected and all the talk about god. Well you just wasted my 10.00 I spent and I would really like to have that back so I can spend it on something that is actually helpful to me rather than your ideas of what I should talk to god about. yeah any chance of a refund. The writer tellsyou everything that should already be common knowledge.There are no real pearls of wisdom and this will not help you to get rich.It may help the author to get rich.Believe me if you are atleast 45 years old you know everything the author is saying already you do not need to listen this book or waste your time.